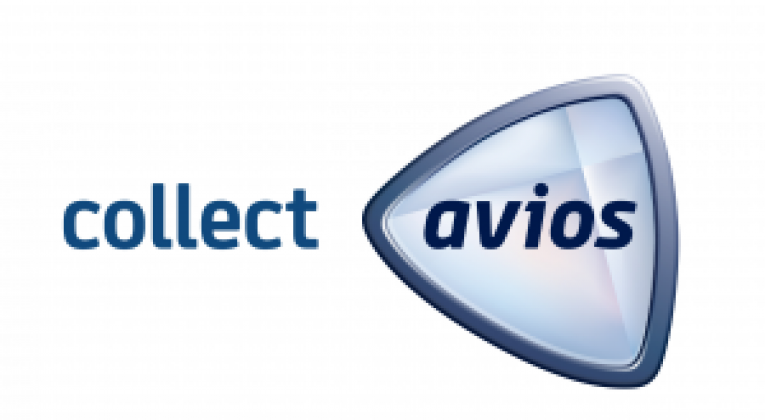 The ‘Nutmeg Avios Earning ISA’ – Should Avios Influence Your Investment Decisions? This may seem like a question with a fairly simple answer: NO! So why do I ask? – The usually superb HeadForPoints ran a post yesterday advertising a promotion from Nutmeg Investment Management, offering up to 50,000 Avios for opening an ISA or SIPP. That’s an enticing sounding offer, but on closer inspection I’m really not so sure about it. Essentially it’s very simple – you earn 1 Avios per £1 of initial investment in an ISA or SIPP, up to a maximum of 50,000 Avios. You have to leave your money for at least 12 months, or a deduction might be taken for the cost of the Avios. If you do leave your money for 12 months and value Avios at 1p each, the promotion is equivalent to a 1% rebate. Should Avios influence your investment decisions? My instinct shouts no – investment decisions should be based on long term, calculated judgements, not whether you get a handful of sweeties (or even Avios!) in the short term. This is particularly important in relation to SIPPs (Self Invested Personal Pensions) where you’re likely looking at investing over a period of many years. More rationally though, there’s actually no reason why short term benefits shouldn’t form part of your analysis – so long as you give due weight to the other factors too and are careful not to overvalue the short term and undervalue the long term factors. Incentives are nothing new when it comes to financial products, and any incentive is obviously designed to try and influence your behaviour. Whether it’s a good idea to allow it to do so depends on a range of factors that ultimately boil down to value and risk. I lack the expertise to make any assessment at all on the risk side of things (you must always do that yourself and/or seek professional investment advice), but I can take a quick look at the value side of the equation. Nutmeg seems to charge annual fees of 0.94% in total, and a glance at MoneySavingExpert shows that you can certainly find lower annual fees than that, so some of the ‘value’ of the Avios is diminished immediately – assuming other providers offer similar service to Nutmeg. The other element of ‘value’ is what other incentives you could get instead, and it’s here that I think the Nutmeg Avios offer really falls down. As a direct comparison, Quidco is offering £170 cashback for investing at least £500 up front + at least £100 a month for 12 months in a Nutmeg stocks and shares ISA. If you just pay in the minimum amounts, that’s a ~10% rebate in cash, which is obviously much, much better than a 1% rebate in Avios! If you’re after Points/Miles, the regular Virgin Money bonus offers (when they boost the number of Flying Club Miles earned from 6,000 to 12,000) for opening a stocks and shares ISA, are even better. I remember one last Summer that got you 12,000 Miles for a total investment of just £450 (6 months of £75). If you value Virgin FC Miles at ~1p each, that’s a return of over 26%! You may think the comparison is unfair because these incentives are for investing relatively small amounts – but that’s actually the point. You would need to invest £10,000+ with Nutmeg through Quidco, or £26,600+ with Virgin Money before you got better ‘value’ from the Nutmeg Avios offer. When you’re talking that sort of money, what you really need to be focusing on are the annual fees, as seemingly small differences can make a big difference. Nutmeg Avios – or more of an own goal? The concern with this sort of offer is obviously that the idea is to try and blind people with some some shiny short term goodies to distract from the long term costs. To put it another way, I rather doubt that financial companies offer these incentives purely out of the goodness of their hearts. If you crunch the numbers and find deals that work for you though, then that’s great – just be wary. I think there’s a wider point here as well, which is that as much as we all love collecting Avios and other Airline Miles / Hotel Points, they are really just a tool to help us all travel better for less. Remember to focus on what they are for, don’t get blinded by the Points themselves. What do you reckon? – has anybody decided to take up the Nutmeg Avios offer? Great post Joe. Sometimes I wonder whether I and other bloggers turn people off by being a bit too “preachy” sometimes, telling people what they should or shouldn’t be doing in the miles/points space. But in this case it is really necessary. One’s savings and investments are WAY too important to be shuffling them around to get a handful of Avios or Virgin miles. Invest well in a low fee wrapper, re-invest the dividends, and the ISA / SIPP will eventually be worth hundreds of thousands. The cost of travel will then take care of itself. Be wary of any financial provider that offers cashback, bonuses, etc. The best financial providers are the ones who just let their super low fees do the marketing for them. Cheers. Yeah, it’s definitely a balance and I’m sure I don’t always get it right to be honest. I do feel that Raffles (for all his superb work generally) let himself down a little bit with this one. Judging by all of the ads for Nutmeg on his website, I suspect he is getting paid. It surely can’t be possible that Google would be randomly feeding me Nutweb ads when accessing his website from overseas. Haha, ironically I actually just got an ad for nutmeg on here a few moment ago! – standard google targeting, not affiliate in this case, I assure you. But yes, clearly it’s a commercial relationship he has there. That’s absolutely fine, but I think there is a line somewhere when content is clearly driven more by commercial considerations than anything else. For me, in general I think there are 2 tests really – 1) is it potentially a good deal for some readers? 2) even if it it might be a good deal, is it the best available deal (to the best of your knowledge)? If you can answer yes to both of those honestly, then I don’t usually see any issue at all. That said, even if both of those were met, I’m still not entirely sure about mixing Miles and long term investment decisions – not without including caveats anyway. I’d be more comfortable with ISAs than SIPPs. I say that as a very sophisticated investor whose ultra-cheap SIPP provider went bankrupt and has ended up with a different trustee with who-knows-how-competitive fees… So cautiously do an ISA but avoid a SIPP for Avios no matter what!